App localization: native language comfort, better user experience and natural behavior. Integrating the technology takes about 15 minutes using Android Studio using the Android On-Device Resource Localization plugin. drive through the testing process. Languages can be configured for different translation options: no translation, machine translation, community or pro translation. 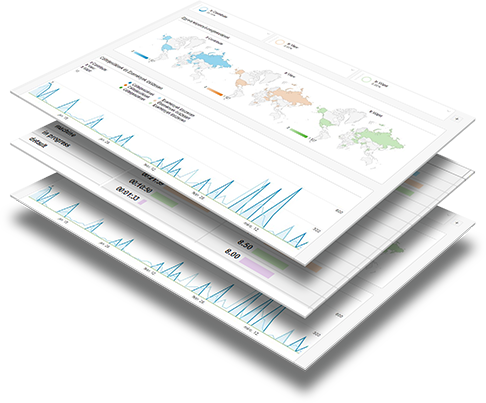 Analytics API provided to understand user behavior by language versions, and the community localization activity. Your app is ready for publishing without translations prepared. 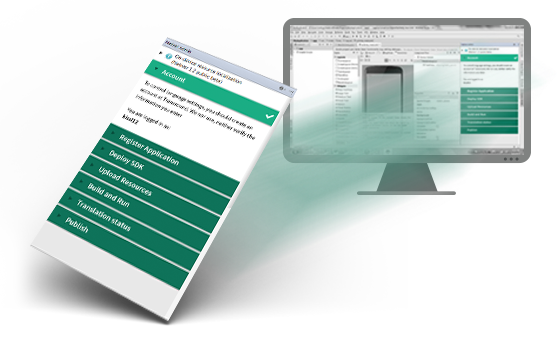 Dynamic resource management enables translations to be build and downloaded later on the live app. After your app started by the users, a new function – language setting – initiates a new type of user engagements. User can select to become translators/reviewers – invoking the automatically downloaded translator app for on device in-app translation. After your app started, a new function – language setting – initiates a new type of user engagement Users can vote for new translations, download finalized translations, reporting translation issues and use your app for language practicing as well. As a publisher review the analytics data to understand the user behavior impact of language versions and user language needs and localization activities. 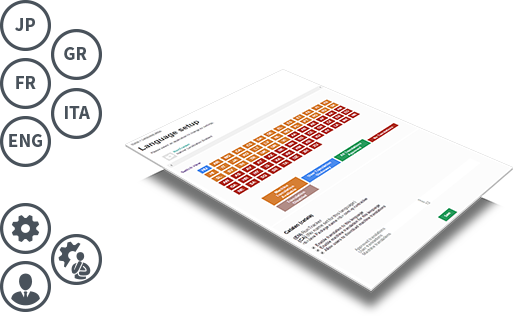 Reconfigure your language setting on Nativer service portal anytime based on these learnings. 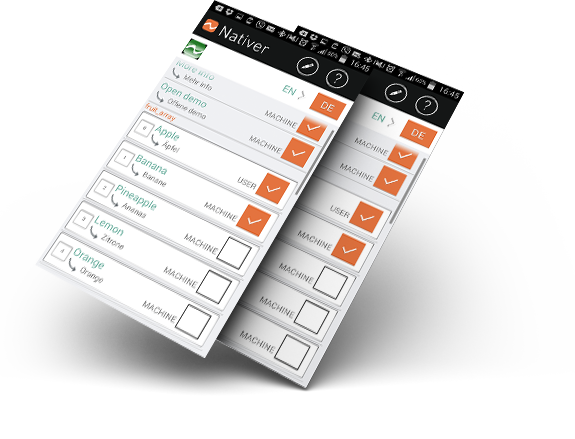 Build the Nativer SDK into your app in minutes, publish it and let translation and experiments happen. Translated resources downloaded dynamically - you can stop endless appstore updates for translation, QA and UX iterations. Translation is no longer part of your build cycle, it becomes a feature of your app. Get into any new market with free machine translation and let users or professionals improve it while using your app. Manage translation sources - machine, community, pro - according to each market’s real potential. Base your decision on additional analytics data focused on users behaviour impact by language and users localization activity. Language resources can be downloaded to the live app - this enables to separate the localization efforts from the application development. Language resources can be edited using the phone. Translations are immediately shown in the app - this gives instant feedback for the translator. Translation creation, quality and contributors can be set for every language separately. Built in analytics provides insights on user behaviour impact of language use and tracking of user localization activity. Free up to 4000 words per app. Ask our offer above 4000 words here. Transround © 2017. All Rights Reserved.